Equine Guelph would like to welcome everyone with an interest in horses to visit our new webpage of educational offerings. Whether you are looking for a fifteen minute interactive healthcare tool or a twelve week online course; there is an equine program ready to be discovered for every level of involvement. Equine Guelph has developed an approach to learning that encompasses the needs of the beginner through to the industry veteran, modeled on evidence-based research, industry input and technology. Not only are these programs the first of their kind but their popularity continues to grow tremendously since the first set of online courses were created in 2002. There are now 22 courses to choose from which includes 3 new two-week eWorkshops on hot topics; Colic and Biosecurity and Horse Behaviour! With expert instructors and award-winning courses, Equine Guelph has been heralded the leader in online education by popular magazines including Horse Sport, Horse-Canada, Gaitpost, and the Equine Consumers Guide. 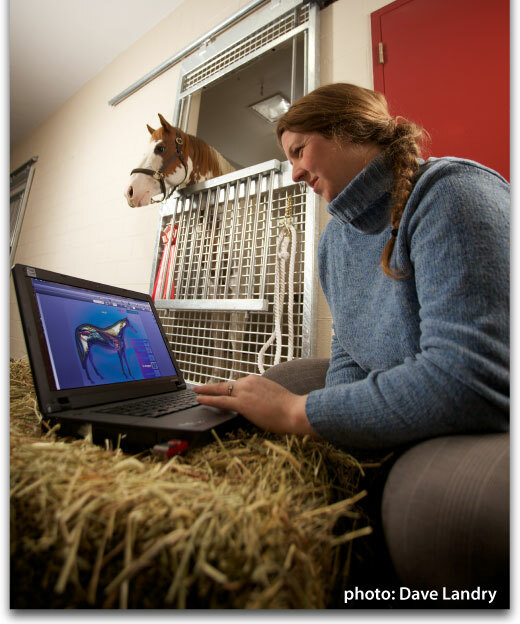 The appeal of online learning with Equine Guelph has attracted students and guest speakers from around the globe. Flexible study means no matter what the time zone or schedule; a balance of work, family and horses can be maintained while learning from one of Canada’s top universities. Students enrolled in the program from all around the world, include every province in Canada, the United States, France, United Arab Emirates, Korea, Egypt, Australia, Austria, Poland, Denmark, Norway, Italy, Israel, Columbia, India and South Africa. “Online courses give you an opportunity to interact directly with the instructors and guest speakers,” says Equine Guelph’s director, Gayle Ecker, “And this provides a unique learning community where students are learning from each other as well as the instructors and guests.” Special guests are invited to expand the course topics, and have included Dr. Sandra Olsen, Curator of the Carnegie Museum, Mr. Derek Nelson, military strategist specialist and journalist, Mr. Al Paterson, former President of Equine Canada, Jessica Phoenix, Canadian Olympic eventer and others.